Send stunning flowers to celebrate any occasion! 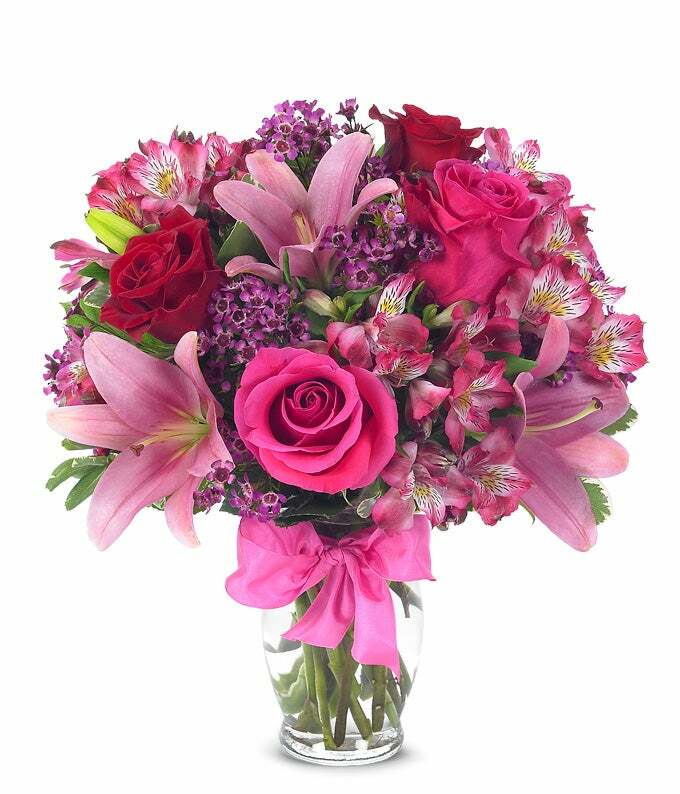 With classic floral colors including red roses and pink lilies the Rose and Lily Celebration is a wonderful gift to send to a friend or family member for a birthday, get well or anniversary. The flowers are arranged by hand at a local florist shop. The floral artist creates the Rose and Lily bouquet with red roses, pink roses, pink lilies, pink alstroemeria and purple wax flowers. Paired with the flowers is a keepsake clear vase that is wrapped in a decorative ribbon. Measures 14"H by 12"L.